Today is the second day of a long holiday weekend, and this morning I got together with my best friend for breakfast at our favorite deli and shopping. We ended the morning at the DeKalb Farmers Market in Decatur (Atlanta). 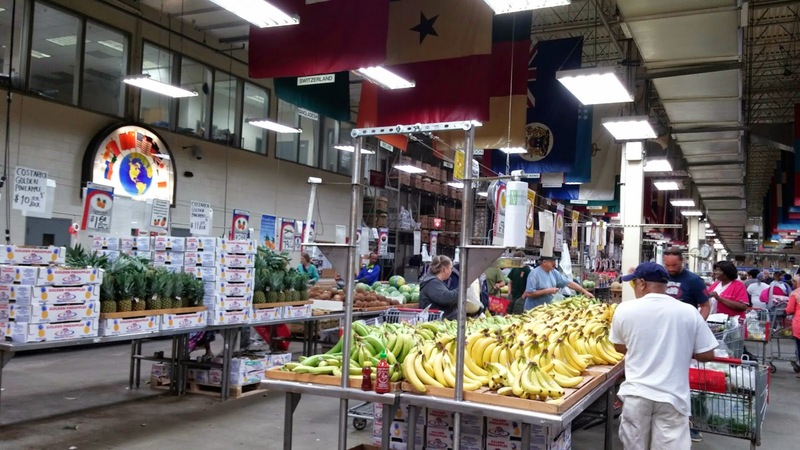 This is a huge 140,000 square foot farmers market. 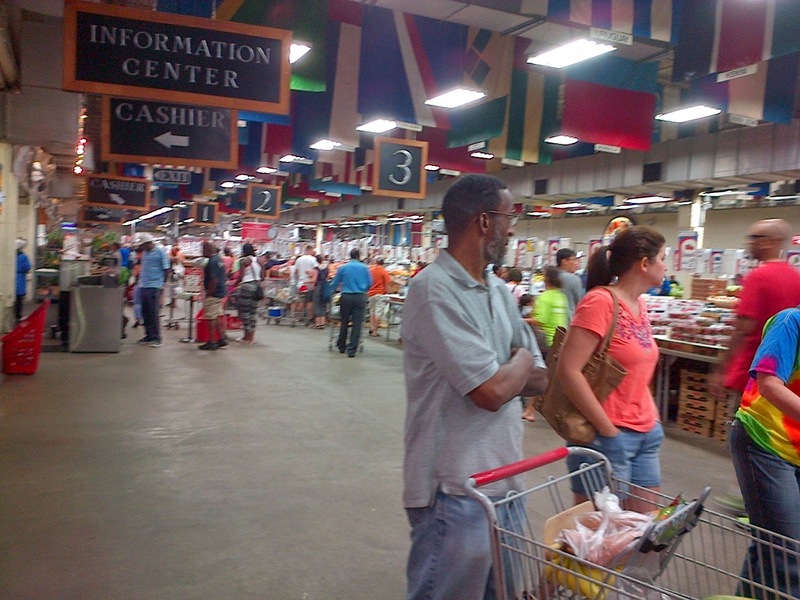 It is a world market, with produce and packaged foods from all over the world. The employees also have diverse backgrounds, and they wear a list of all the languages they speak on their name tags. Saturday, especially on a holiday weekend, is not an ideal time to shop here because it is VERY crowded. I wish I had taken a photo of the parking lot. It was full! I love going to the farmers market, and wanted to share the experience with you here. 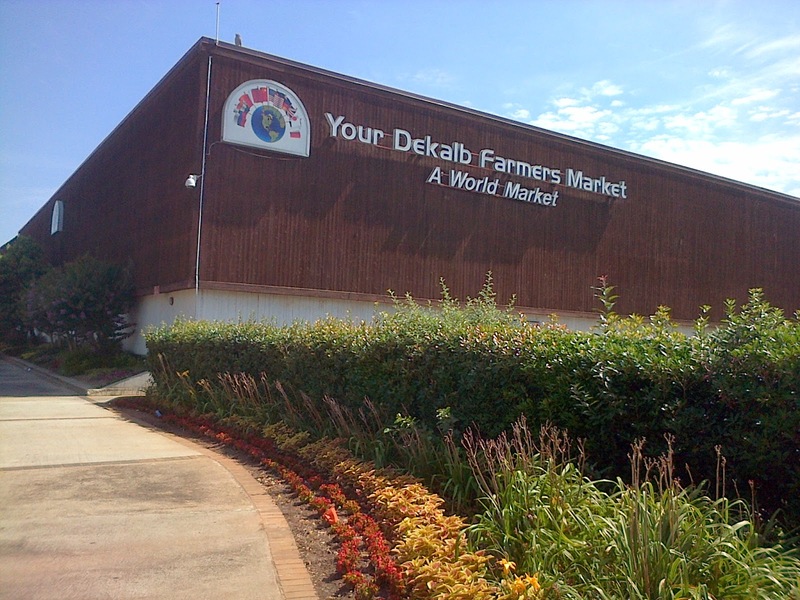 The DeKalb Farmers Market is at 3000 E. Ponce de Leon Avenue, Decatur. This is just a few blocks from the Decatur MARTA station, between Decatur and Scottdale. 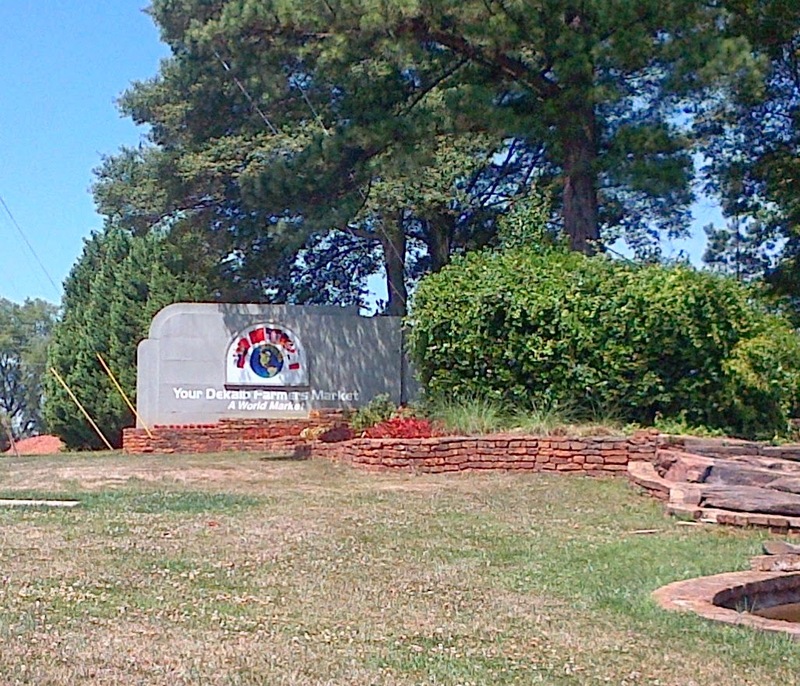 It is part of the metro Atlanta area. 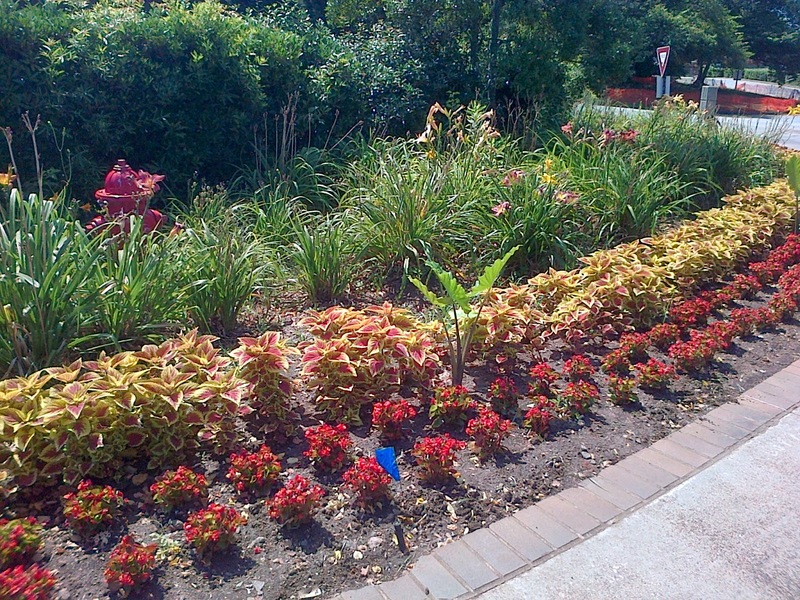 The landscaping is really nice. This is the market as you first drive into the parking lot. 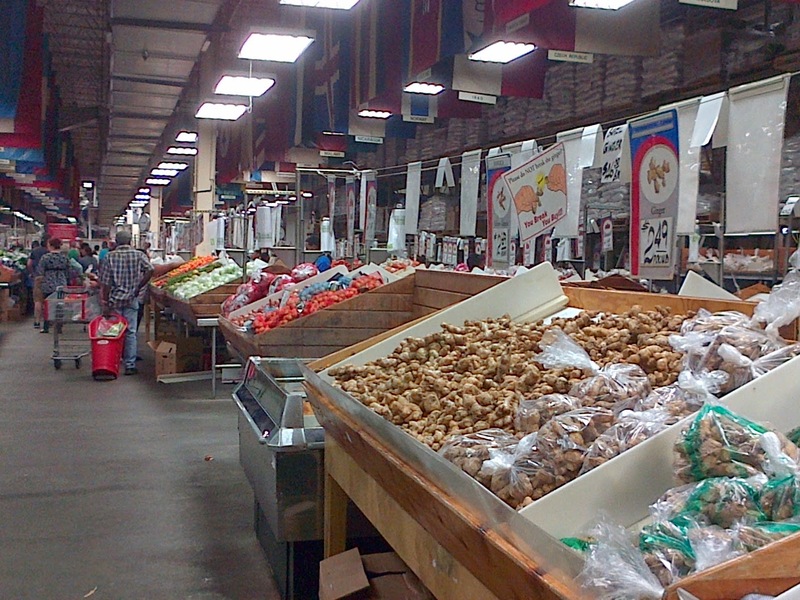 A view of the market from the center of the store, looking down. This picture gives you an idea of how big the farmers market is. 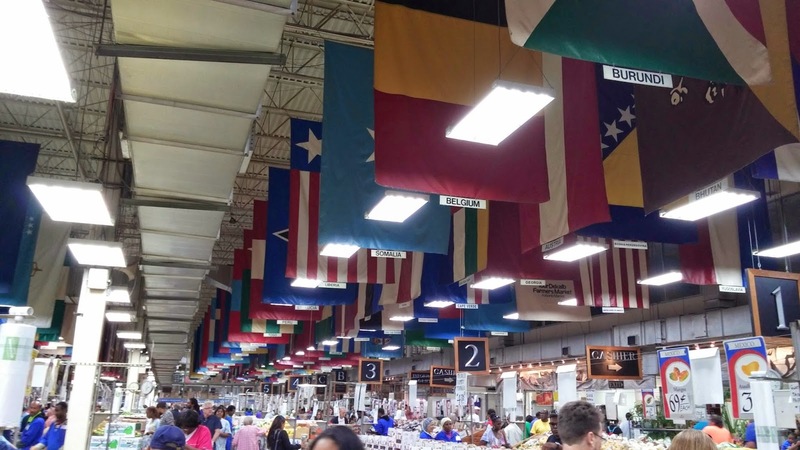 The flags overhead represent the world market. 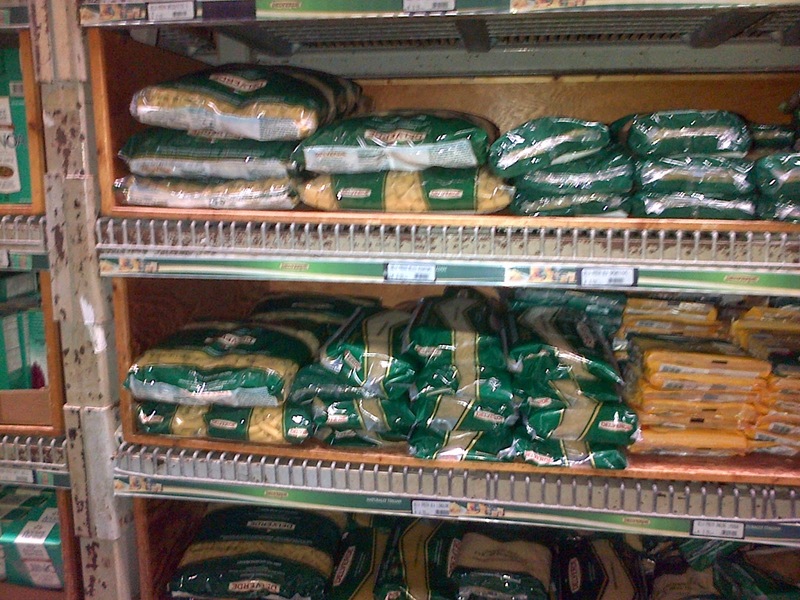 I love the imported Italian pasta! Here is a glimpse of the HUGE produce section. If you can think of any favorite fruit or vegetable, you can find it here. 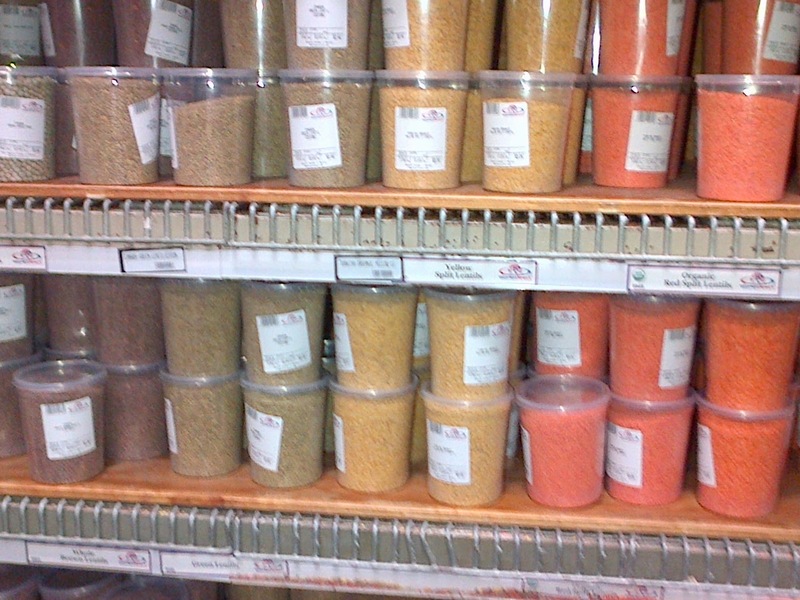 The market stocks their own packaged spices. They have a great variety, and the prices are terrific. Tofu! 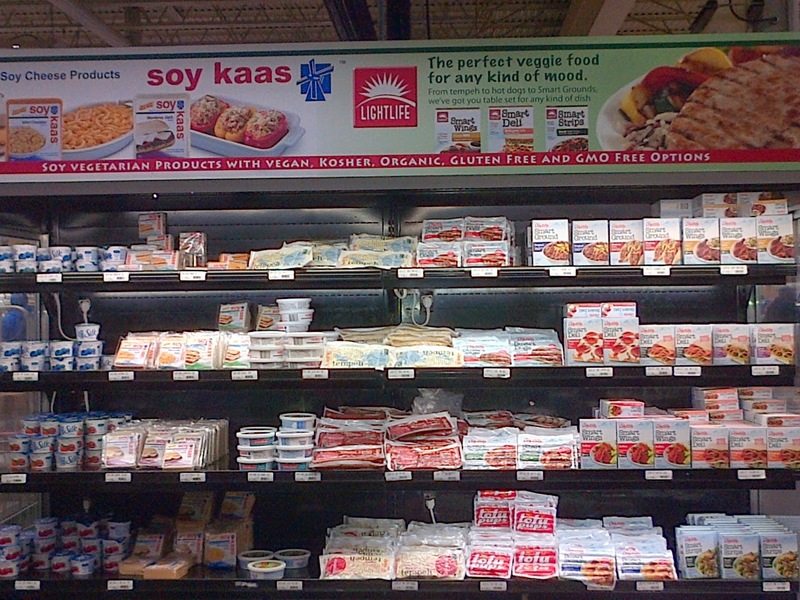 They have a number of varieties, including baked tofu. 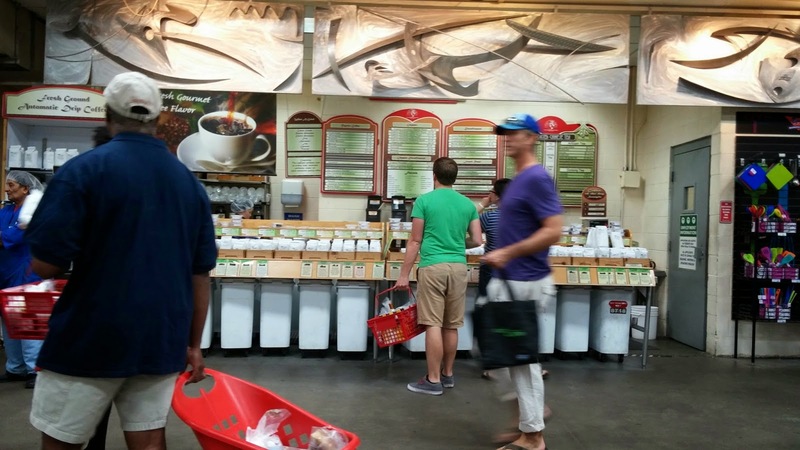 I'm a longtime vegetarian, and this is a great place for vegetarian and vegan shoppers. 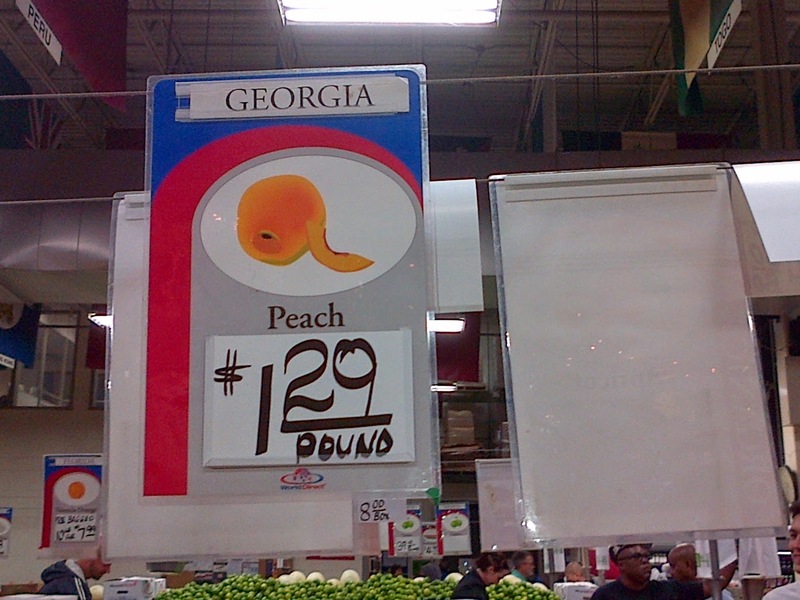 Georgia Peaches. I just had to take a picture. 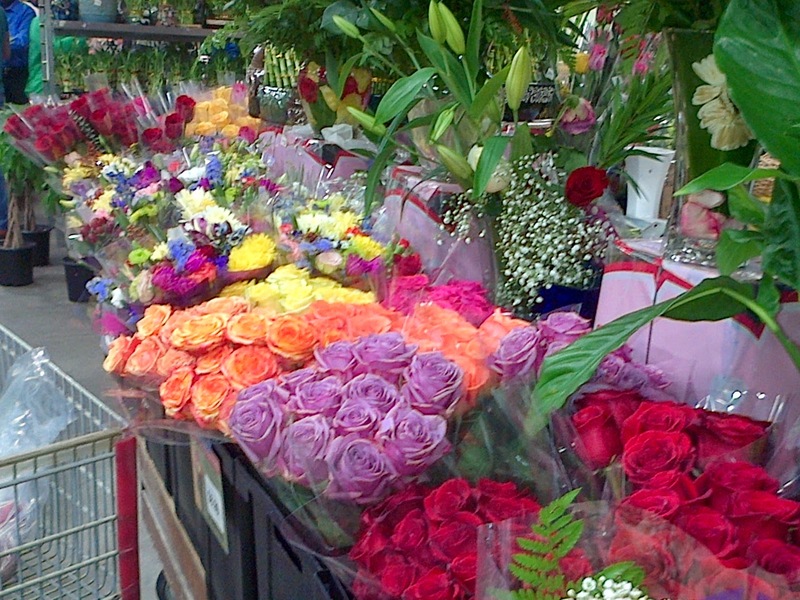 The farmers market has a wonderful selection of cut flowers (again, very cheap!). I love the range of colors here. 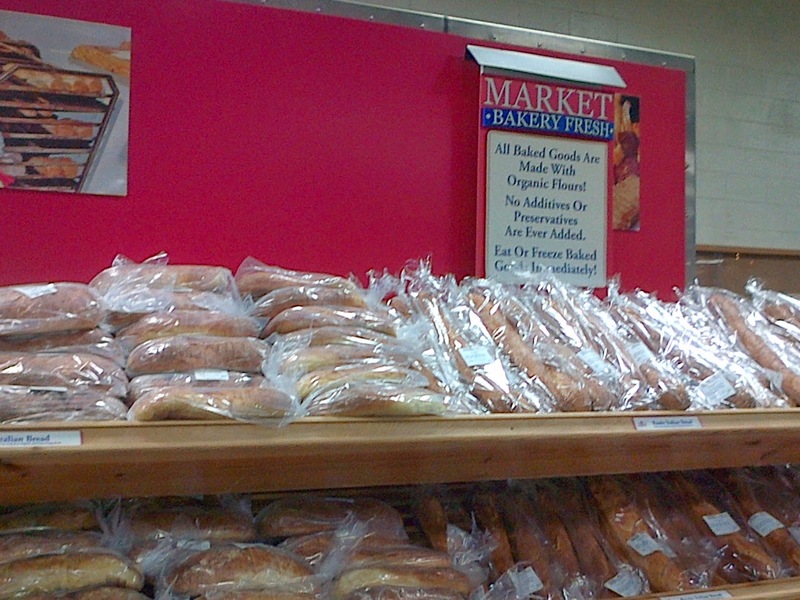 The market has a great selection of fresh baked bread. I love their croissants! 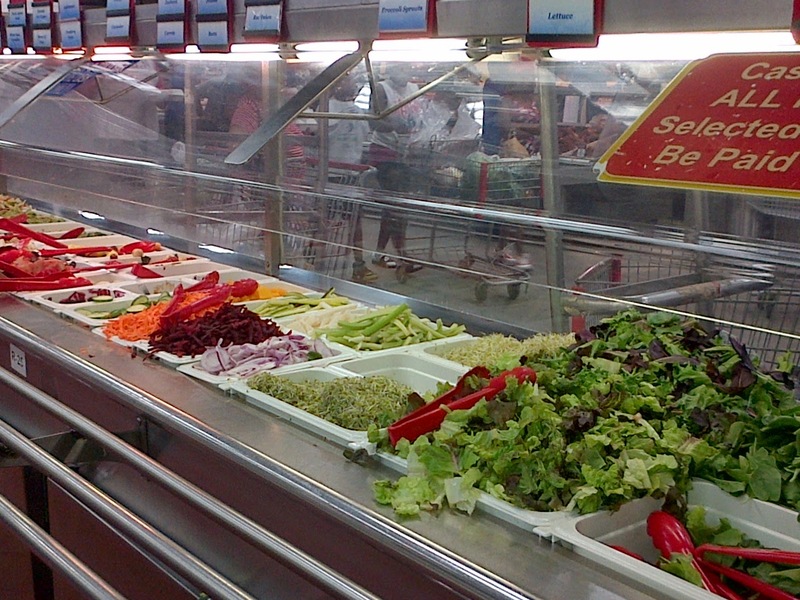 They have a big cafeteria with a couple of lines of food, including hot dishes and a salad bar. 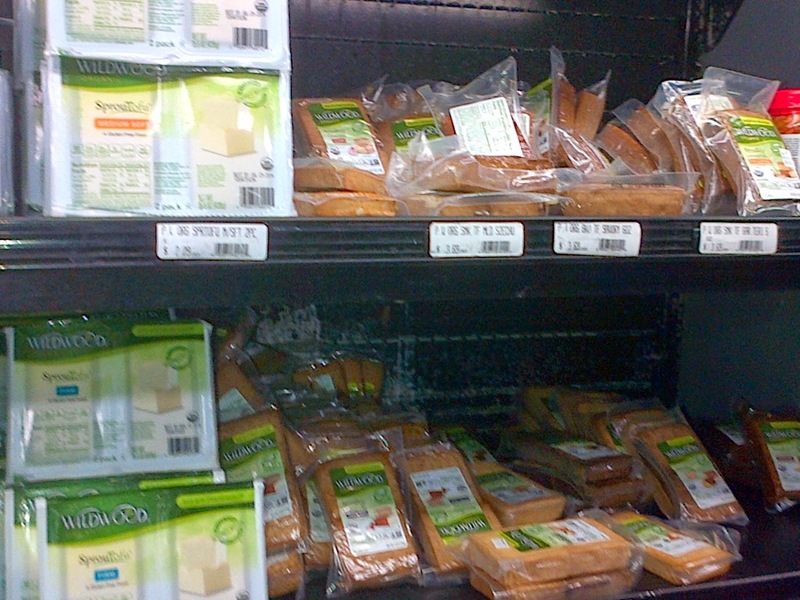 Soy cheese and Lightlife vegetarian products including Tofu Pups and lunch slices. I am a big Lightlife fan! 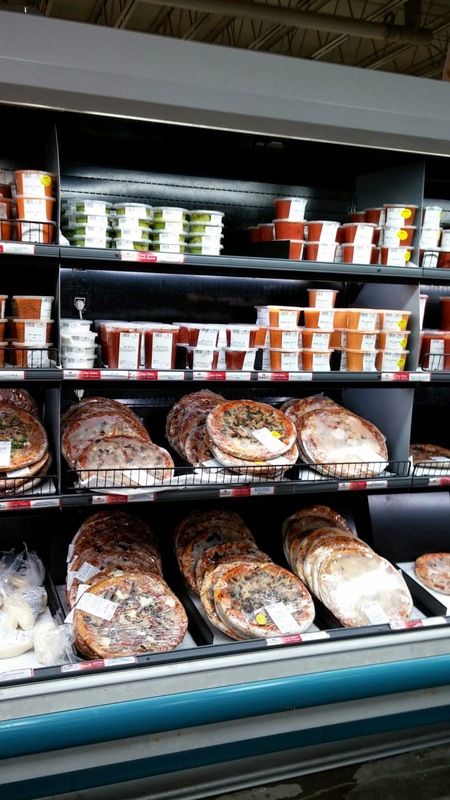 If you like homemade pizza, fresh pasta sauce - and of course homemade pasta as well - you'll find a nice selection here. I had fun on my visit to the farmers market today, and hope you enjoyed this little photo tour as well. I love farmers markets and this one certainly looks enormous. Is it only open on Saturdays or all week? The photos definitely add life to the description of this market. Thanks for taking the time to post them. I'll keep this in mind for when I'm in the Atlanta area. I was in Chattanooga this spring and wish I'd known about it then. By the way, your traffic is nuts! what a perfect place to spend a Saturday with your best friend! I am a total foodie,I could spend hours AND a weeks pay in there easily. Farmers Markets are a wonderful way to experience fresh foods and a wonderful way to try new things. Thanks for sharing your outing with us, the photos were a nice way to include the readers. Thanks for the nice comments! I love farmers markets too, and this is a fun place -- HUGE with lots to see. Cathy, it is open 9 AM - 9 PM daily. You are so right about Atlanta traffic - it is crazy! Really fun place to spend a morning! 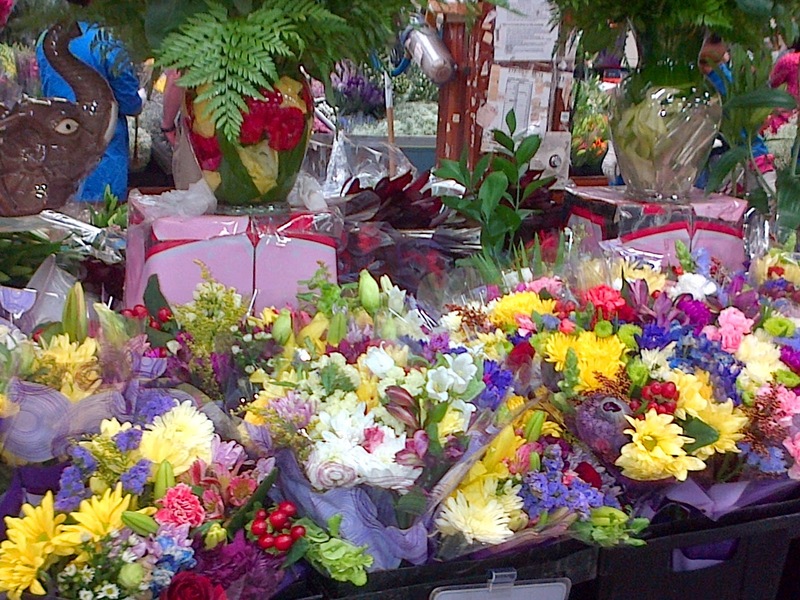 Trish, I really enjoyed today's blog about Atlanta's Farmer's Market and seeing all the great pictures. If only we lived a little closer to Atlanta, I would be tagging along with you on your Saturday adventures. Thanks for sharing your day! I loved taking your photo tour! I could picture myself walking around, breathing in the delectable aromas of coffee & baked goods, buying the goodies to take home, mesmerized by the many colours of flowers & produce. I am not a fan of large crowds, but this Farmer's Market is worth it.I wish I could go there now! I loved going to this market when I lived there. The vegetable and fruit selection was wonderful. Some interesting teas could be found in the "regional" sections too. I especially loved the Indian teas I found there. Thanks for all the nice comments. It is a really fun place, and very unique. Mary, come up for the day and we can go to the Farmers Market! Bobby, yes, I agree about the imported foods. 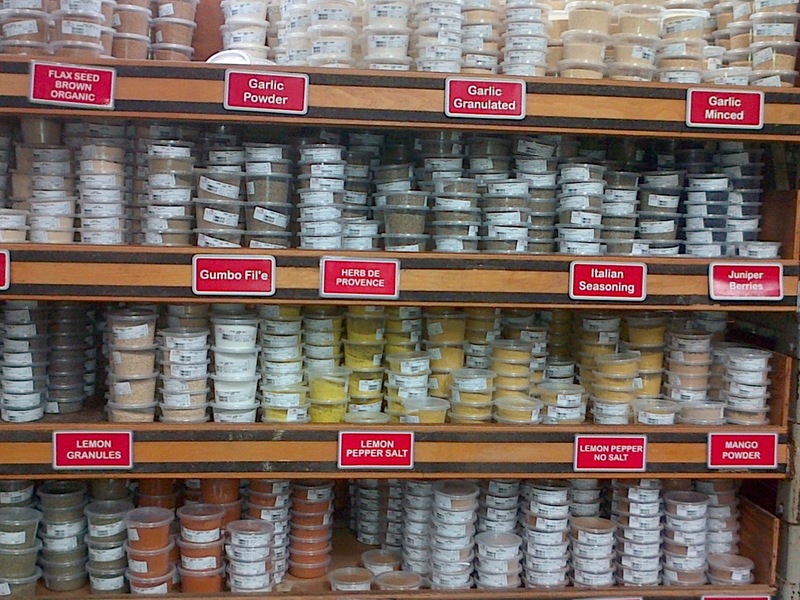 I am very fond of the imported Italian pastas and jar sauces. I also love the Amish jams and jellies.